Being told that you or a loved one has an asbestos-related disease can often bring about an overwhelming feeling of isolation and grief. But you are far from alone. ADAO is a community of others who have gone through similar experiences and offer their help. Furthermore, the organization has organized a list of numerous medical and supportive resources available to you and your family.  If you have just been diagnosed and want to learn more, ADAO suggests your first visit be to the Asbestos page at the Agency for Toxic Substances website from the Centers for Disease Control and Prevention (CDC). There, you can find multiple sources of information and help, including the particularly important “Health Effects” section. 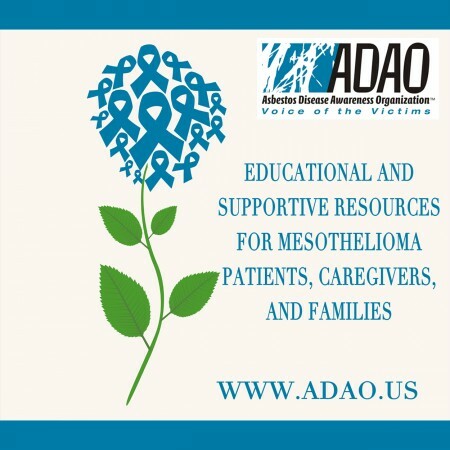 For more on mesothelioma, ADAO also recommends Cure magazine’s online book “Understanding Mesothelioma” and the National Cancer Institute (NCI) website as excellent resources for accessing information regarding treatment centers, physicians, and clinical trials. ADAO urges that you be a part of the community and reach out for support. This can often be one of the most important steps in your treatment. 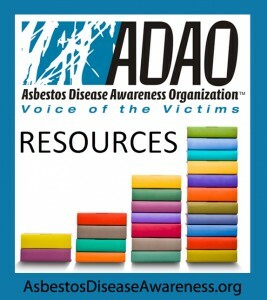 Visit the ADAO Medical Resources page for a list of leading medical centers that offer treatment for asbestos-related diseases and to find out about online resources such as the Mesothelioma Applied Research Foundation (MARF) and the Association of Cancer Online Resources, Inc. (ACOR), where you can find further support from others living with asbestos-related disease. The National Cancer Institute (NCI) is part of the National Institutes of Health (NIH), which is one of 11 agencies that compose the Department of Health and Human Services (HHS). The NCI, established under the National Cancer Institute Act of 1937, is the Federal Government’s principal agency for cancer research and training. The National Cancer Act of 1971 broadened the scope and responsibilities of the NCI and created the National Cancer Program. Over the years, legislative amendments have maintained the NCI authorities and responsibilities and added new information dissemination mandates as well as a requirement to assess the incorporation of state-of-the-art cancer treatments into clinical practice. Search NCI’s list of 8,000+ clinical trials now accepting participants, or use more search options to search the set of 19,000+ clinical trials that are no longer recruiting. The Mesothelioma Applied Research Foundation is the nonprofit collaboration of patients and families, physicians, advocates, and researchers dedicated to eradicating the life-ending and vicious effects of mesothelioma. We believe in a cure for meso. Given the human toll of suffering the disease causes, the compassion and energy of the meso community, the moral, legal and economic aspects of asbestos, and the benefits of meso research to cancer research generally, we believe that the resources to accomplish this cure are available and must be mobilized. The Cancer Support Community is an international non-profit dedicated to providing support, education and hope to people affected by cancer. Likely the largest employer of psychosocial oncology mental health professionals in the United States, CSC offers a menu of personalized services and education for all people affected by cancer. Its global network brings the highest quality cancer support to the millions of people touched by cancer. These support services are available through a network of professionally-led community-based centers, hospitals, community oncology practices and online, so that no one has to face cancer alone. Caring Bridge is as an online space where you can connect, share news, and receive support. It’s your very own health social network, coming together on your personalized website. And thanks to those who donate, we are available 24/7 to anyone, anywhere, at no cost. The Cancer Survival Toolbox® is a free audio program designed to help cancer survivors and caregivers develop the practical tools to deal with the diagnosis, treatment and challenges of cancer.